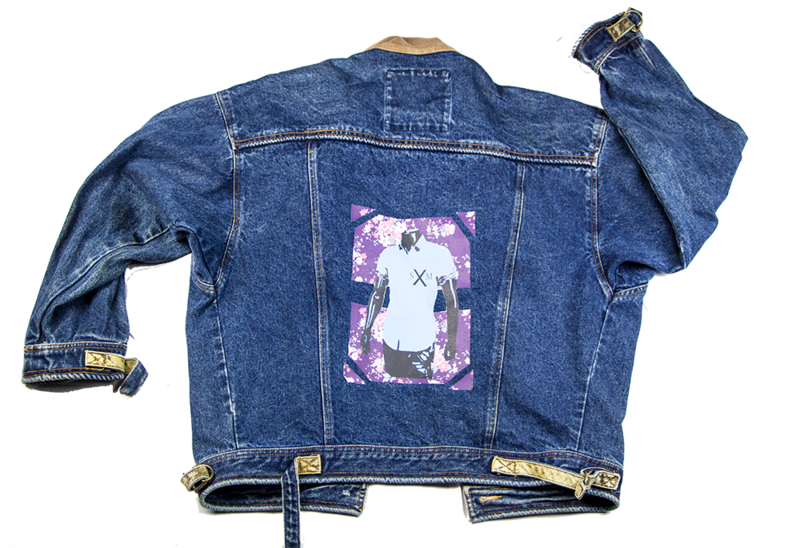 I took this vintage jacket and added a graphic to the back. Viewing the Sir and Madame Tumblr I noticed the pops of color or pattern that adds the Sir and Madame style. 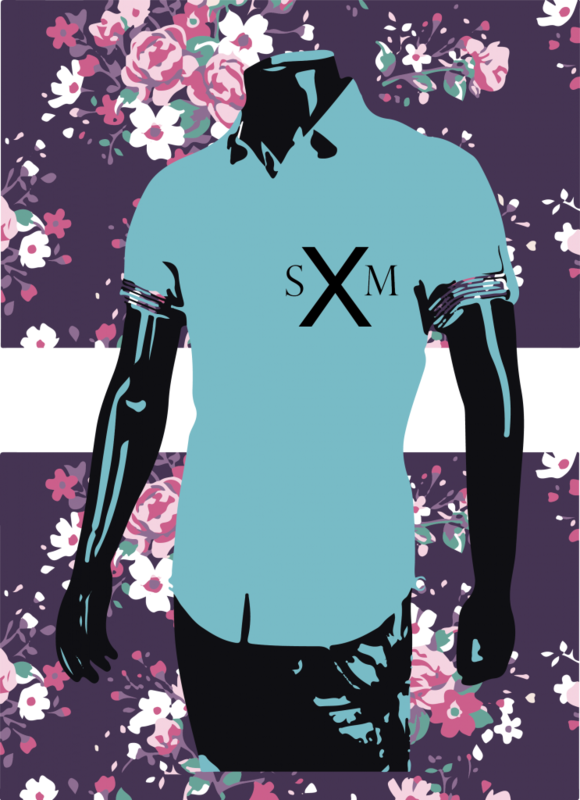 With that, I decided to create a graphic of a mens silhouette with a floral background. The classic/vintage feel of the jacket and the graphic design compliments the Classic American and urban style of Sir and Madame.